The network came up again for a short while, only to fail once again. 110 million users unable to access their online content or play. Because they have failed to communicate upward of the risks and what needs to be in place and that that will cost involved to keep a network and infrastructure resilient. Its that simple, and this is will over 100 millions customers are down. Sad, so sad and shows you how much they care. It seems that PlayStation network and that of Microsoft Xbox Online are both under a DDOS type event preventing access to content and log on resources. Users all over the world are affected by this outage. But will Sony Online / PlayStation Network (PSN) make good to customers who have lost game time and use of system during this outage. The suggested actions to take are all a waste of time. Simply put, the network for Sony online is down. Sony‘s PlayStation Network has finally started to come back online, Sony Corp. President and chief executive Kazuo Hirai announced Saturday evening. The mandatory PlayStation 3 system update (v3.61) is currently available. Once installed, many PSN services, including online game-play for PlayStation 3 and PSP, should soon be available for users in the Americas, Europe, Australia and New Zealand and the Middle East. Sony expects to have full, worldwide access restored by May 31. 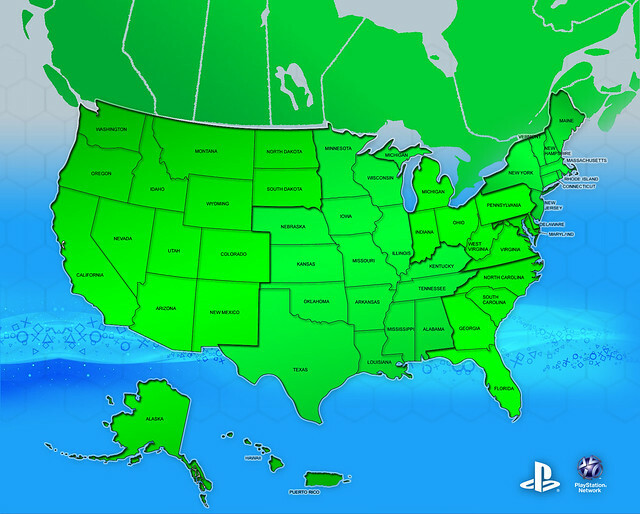 Users in the US can check this map to see whether service has been restored to their state.